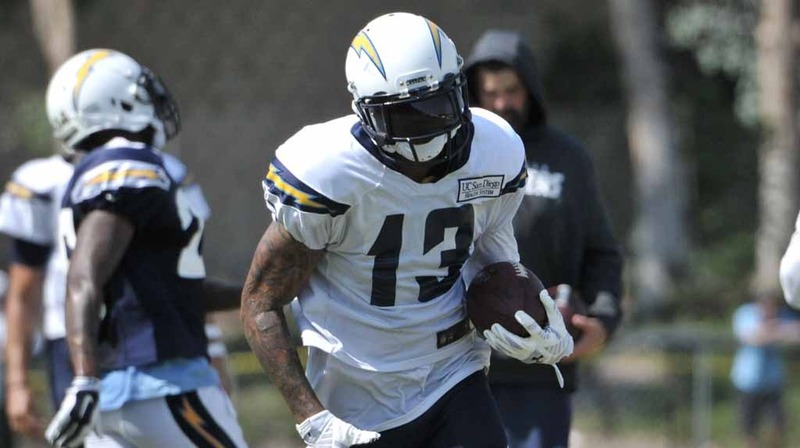 Just like in their win against the San Francisco 49ers last week, the San Diego Chargers will be without starting running back Ryan Mathews, and most likely without starting wideout Keenan Allen, in the team’s season finale against the Kansas City Chiefs this Sunday. Mathews is officially listed as out as he continues to deal with an ankle injury, and Allen is listed as doubtful (25% chance to play) due to a broken collarbone suffered in the team’s game against the Denver Broncos on Dec. 7. However, starting quarterback Philip Rivers will play despite dealing with a bulging disc in his lower back according to ESPN, and is listed as probable on the team’s injury report. Who will be snapping the ball to Rivers, though, still remains a question. Starting center Chris Watt only practiced once this week on a limited basis due to an ankle injury, and will be a game-time decision on Sunday. If Watt can’t play Trevor Robinson will get his first career NFL start, Robinson relieved Watt last week against San Francisco after he injured his ankle. Rookie running back Branden Oliver, and Donald Brown, will share the running back duties along with veteran third-string back Ronnie Brown providing depth. Wide receivers Eddie Royal and Malcolm Floyd will start at wide receiver, with Seyi Ajirotutu and Dontrelle Inman backing them up.